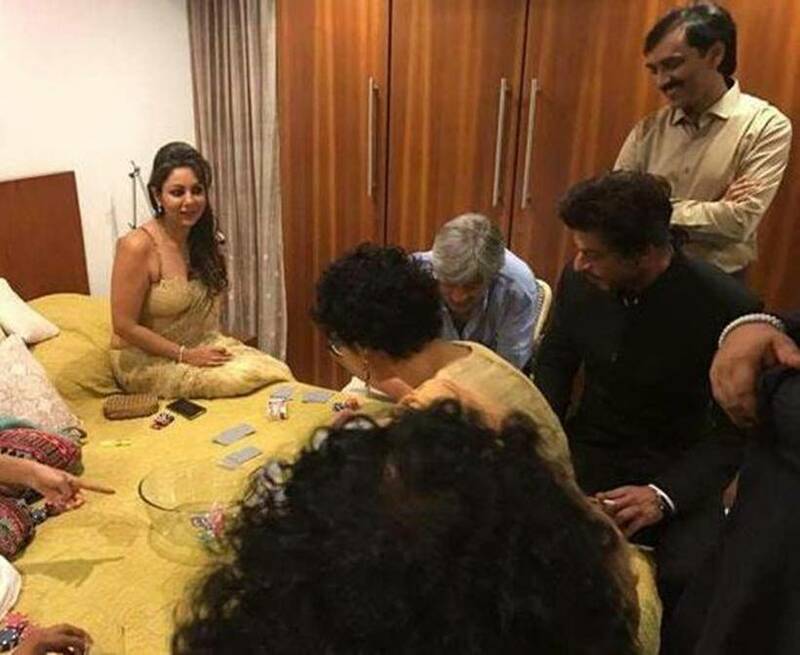 Aamir Khan's Diwali bash: Shah Rukh Khan's exclusive glimpse from Aamir's party, was busy playing cards with a host of celebs including Aamir's wife Kiran Rao. When it comes to Diwali, Bollywood biggies head to either of the two bashes -- hosted by Amitabh Bachchan and Aamir Khan respectively. While we gave you glimpses of both, now we have come across some interesting images which made these two parties so much more interesting. Lets begin with Shah Rukh Khan's quiet entrance into Aamir's party. And what did the Badshah do once inside? He was busy playing cards with a host of celebs including Aamir's wife Kiran Rao. Gauri Khan watched the game but was not seen participating. With this, we hope the on-and-off rumours about rivalry among the Khans can just end now. Another cynosure of all eyes at the party was Sunny Leone with husband Daniel Weber. 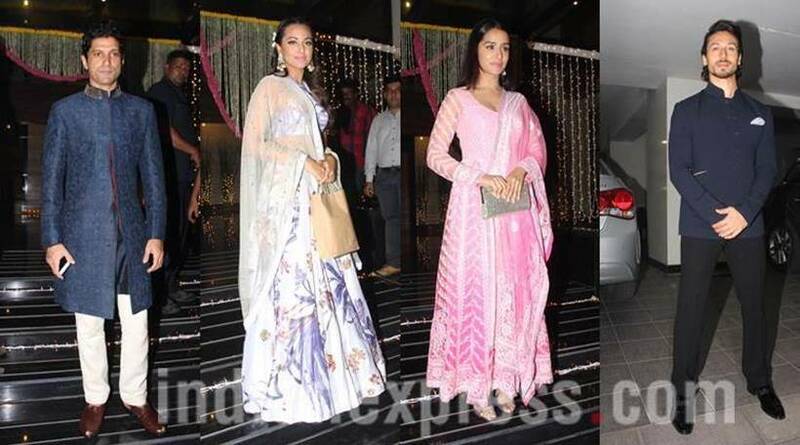 Looking resplendent in a traditional avatar, Sunny attended only Aamir's party and was not seen at Amitabh Bachchan's party like most other stars. Sunny and Aamir's conversation began on social media after Aamir praised her for standing up against a sexist interviewer on TV. He had also said in his tweet that he would like to work with Sunny Leone in the future. While that project is yet to materialise, Sunny met Aamir and was again seen at his party. 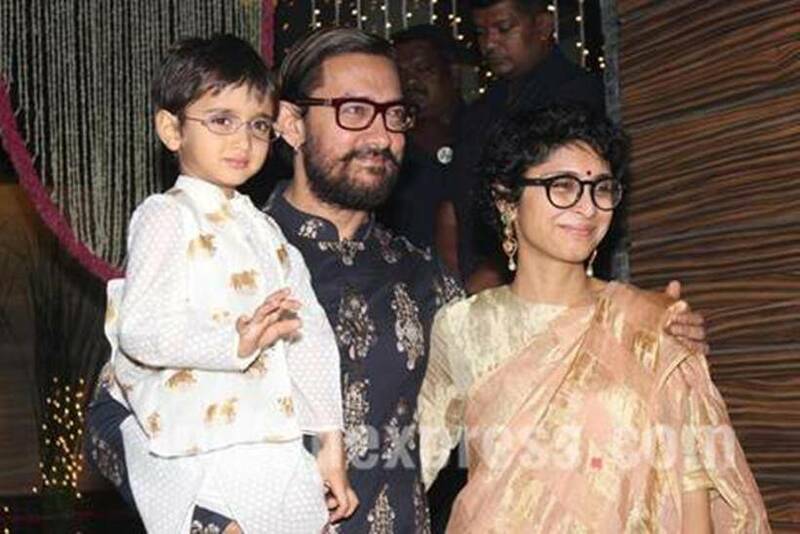 Aamir and his wife Kiran Rao too became the proud parents of Azad Rao Khan on December 1, 2011, through IVF "after a long wait and some difficulty". 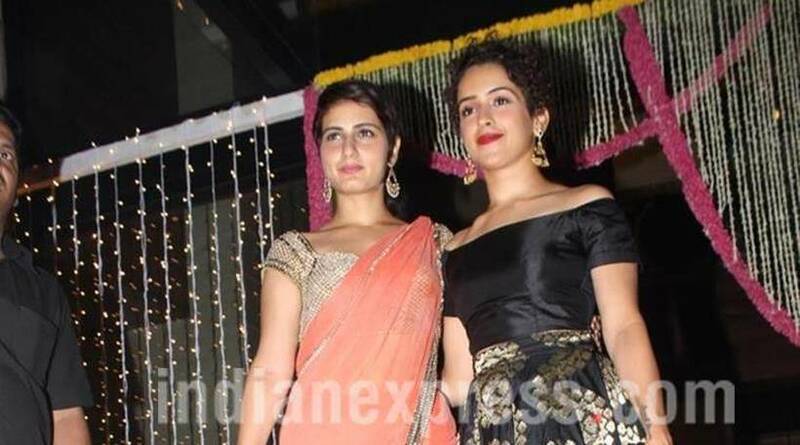 At the festive celebration, we spotted the Dangal girls, Sanya Malhotra and Fatima Sheikh, who are making their debut with Aamir Khan in this December release. The film is a biographical sports drama based on Indian wrestler Mahavir Singh Phogat. Farhan Akhtar, Sonakshi Sinha, Tiger Shroff and Shraddha Kapoor were among others who had a gala time at Aamir’s Diwali get together too. 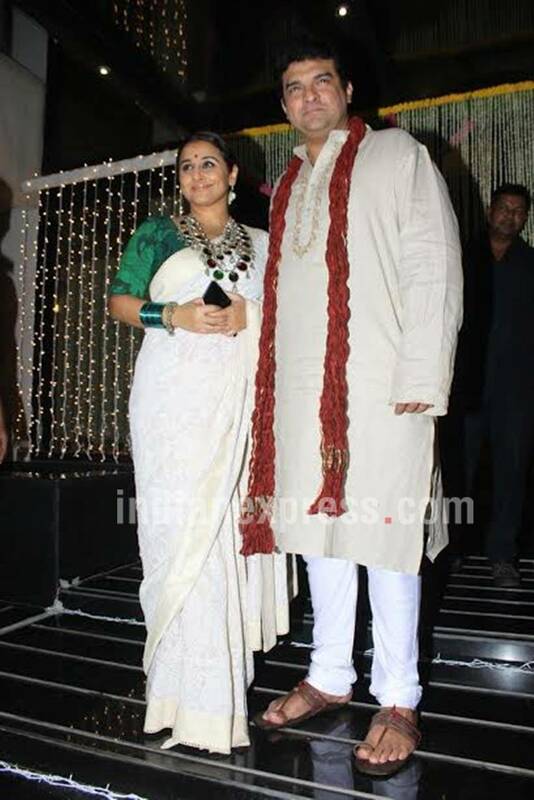 Vidya Balan, who is prepping up for the release of her thriller drama Kahaani 2, was also present at the event with husband Sidharth Roy Kapur.